Our team of volunteers home deliver food parcels weekly to those in need of emergency food provisions and work with people to refer them to other support and to help them find longer term sustainable solutions. 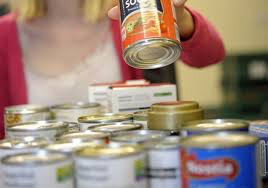 Food poverty is becoming an increasing need in our city with some families and individuals struggling to put food on the table due to issues like debt, benefit sanctions and relationship breakdowns. Our team of volunteers home deliver food parcels weekly to those in need of emergency food provisions and work with people to refer them to other support and to help them find longer term sustainable solutions. In need of a food parcel? Food parcels are done on a referral basis usually from GPs, schools, CAB and other charities and organisations. If you are in need of emergency food provision you can also contact our office and we can do a brief assessment and a self referral for you. We currently keep a store of non perishable foods for making up parcels and we welcome donations from individuals and organisations. 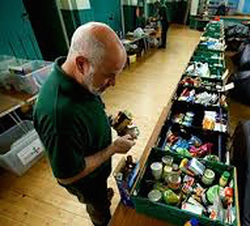 ​Our Food bank is part of a network of food banks covering the whole of Preston, we currently deliver in the PR1/PR2 areas.